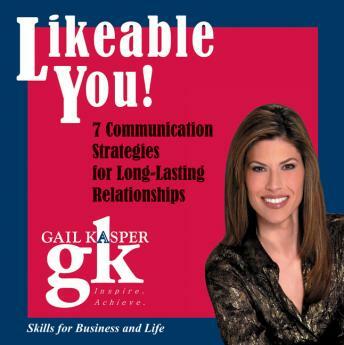 Join one of our country's most powerful communicators, Gail Kasper, as she provides you with the tools to win friends and create compelling business relationships. The most successful people in the world have mastered the art of communication. What would it do for you to be able to build instant rapport and improve your likeability factor personally and professionally? Learn how to make yourself memorable, how to become an enthusiastic listener, how to remember names, body language musts, as well as the red flags that create relationship roadblocks. The opening chapter of this audio is NEW and opens your mind to the different levels of friends and how each level can impact you in a positive way, creating a stronger support system that increases your self-esteem and confidence level.